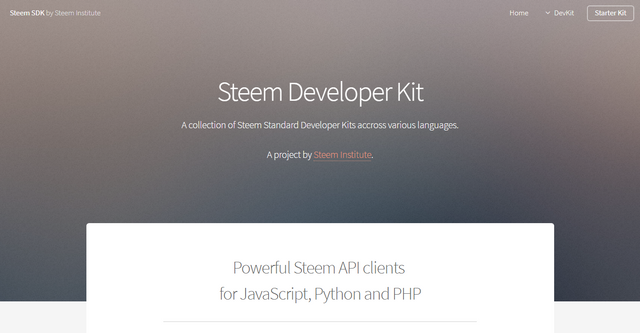 Steem SDK is an attempt to build a library of the necessary Steem developer kits across various languages. In the coming months, we will further upgrade the site to offer more products and services for Steem developers. 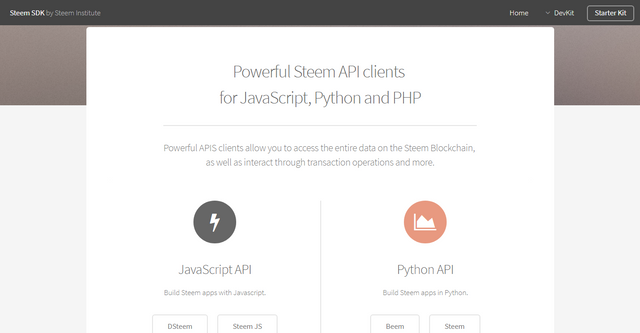 In the coming months, we intend to upgrade the site to offer more service to Steem developers. You can contribute by updating the information on the site, or managing your listing. If your SDK or any other SDK you know is missing, kindly consider listing it. If you find any inaccurate information, consider editing it. If you are interested in maintaining the project, kindly join our Discord channel and make your request know. As at now all compensations for contributors is via Utopian.io. *.steemsdk.com subdomains are available for all SDK project owners who would be interested in hosting their projects on the Steem SDK subdomain. Kindly join the channel and make your request for your subdomain. Sub-domains are free, and we would be honored to have you use it. This is a wonderful initiative, which I am very glad to see. The post itself is well written and clear. However, I do wish there was more of it. More background, more about the reasons for this and the process that has led up to this announcement. This post has the very minimum one needs to know about the project right now.